I used to love to stitch -- cross stitch and embroidery -- I found it to be very relaxing. When I travelled frequently for work I used to take projects on the plane. Long flights and sitting in airports produced a lot of finished projects! But, since 911, you can't bring sewing needles or scissors on the plane and I just stopped working on things. Recently I found a couple fun patterns and thought I'd take it up again. 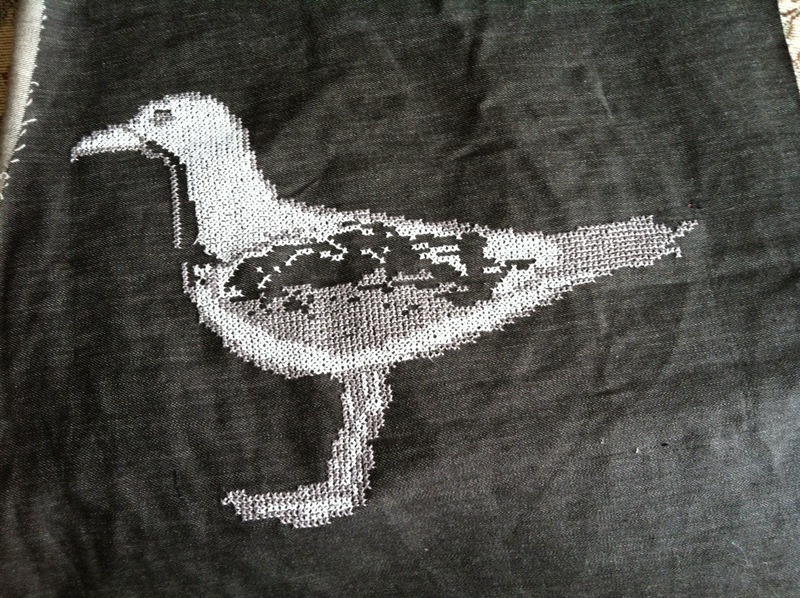 I just finished this seagull on black denim. 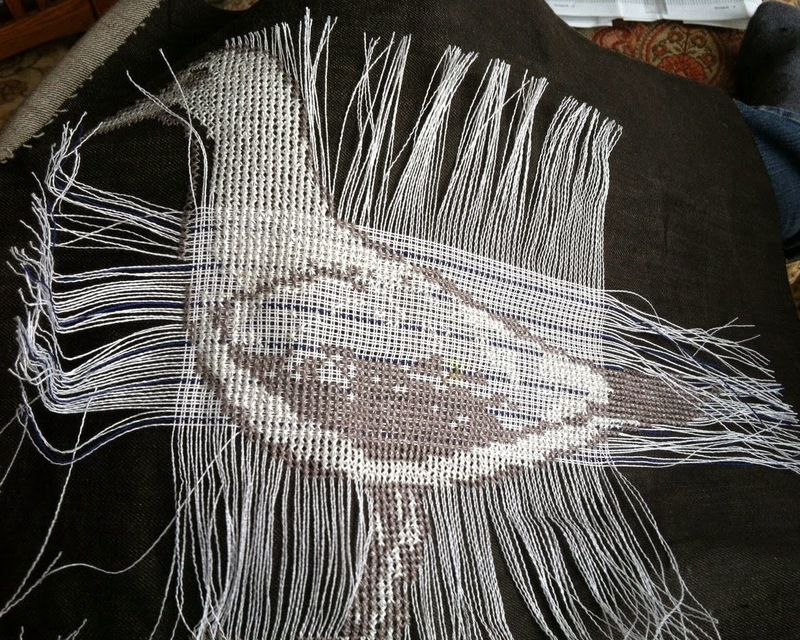 I stitched it on waste cloth; when finished I pulled out the cloth, and there you have it. Watch for this to become a pillow in the future.